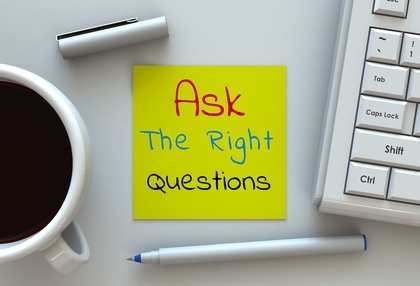 Asking meaningful questions in your job interview about the organization and what it needs from the successful candidate is your chance to highlight why you are the right person for the job. Questions about the company environment will also give you the information you need to assess whether this is the right organizational fit for you. "What is the company culture?" "How would you describe the work environment at the company?" "What values does this company emphasize?" Ask questions that demonstrate a strategic understanding of the company. "What are the company's biggest challenges and how is it placed to meet those challenges?" "What will be the likely changes in this industry in the next few years?" "What are the future plans for growth and development?" Do some background research before the interview using these guidelines on how to find job interview information on the company. Consider the sort of challenges the company is facing and think about how these affect the position you are interviewing for. What does the organization need from the successful candidate? Prepare relevant and thoughtful questions to ask the interviewer using the information you are able to gather on the company. "How has the recent merger impacted on the company?" "Your new CEO comes from a main competitor, what changes can the company expect and will there be any impact on this position?" "I read that a major competitor of yours is increasing its market share in this region. What plan does your company have to regain this lost share?" "Does the company support ongoing learning and training for employees to stay current in their positions?" "What type of employees are most successful at this company?" "Which employee do you think best represents the company culture and why?" "How does the company measure success on the job?" "What sort of opportunities are there for advancement within the company?" Ask insightful questions about the job opportunity and impress the interviewer as a candidate who has given the position a lot of thought. What are the immediate challenges that the recruit will face in this job? Will the management style in the company suit you? 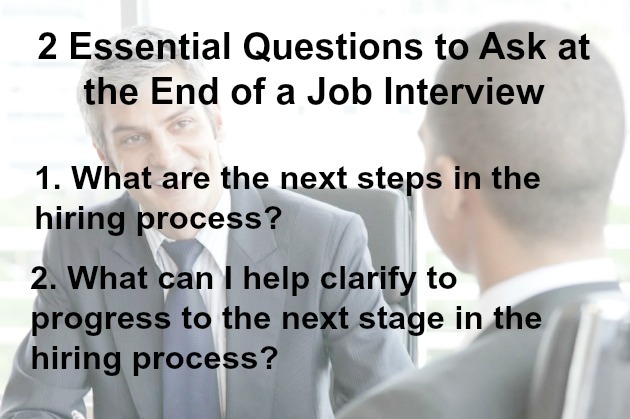 Find the right interview question to ask employer about the management of the organization. What not to ask in your interview is very important. Go to this list of interview questions to avoid asking in your interview. Tips on what interview question to ask? As important as the questions you prepare to ask in your interview are the answers you prepare for the interviewer's questions. Think about your answers to these 5 common interview questions and be well prepared for your job interview. Make a list of well-informed questions to ask the interviewer during your job interview and you will not only gain valuable knowledge about the company that helps you decide about its suitability, but you will also make a great impression as an interested and insightful job interview candidate!